L. Wayne Randall, 75, of Huntington, IN, passed away Saturday, September 22, 2018 at 3:22 am at Lutheran Hospital Fort Wayne, IN. Wayne was born on November 9, 1942, in Huntington, IN, to Charles and Ethel (Pinkerton) Randall. His parents preceded him in death. Wayne married Judith Rice on April 6, 1968 in Huntington, IN. She survives and resides in Huntington, IN. Wayne graduated from Huntington High School in 1960. He served in the United States Navy from 1960-1963, graduated from Huntington College in 1967 with a Bachelor’s in Science. Wayne was a teacher with the Huntington County Community School Corporation for 38 years and was at Crestview and Riverview Middle Schools. 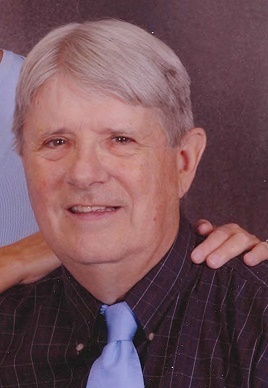 He was a member of Evangelical United Methodist Church, Gideons International, Retired Teachers Association, Drivers Ed Teacher, and coached numerous sports for Huntington County Schools including football, basketball and cross country. Along with his wife, Judy, he is survived by four daughters, Laurie (Andrew) McNeil, Brownsburg, IN, Lisa (Jeff) Mohler, Westfield, IN, Patricia Randall, Indianapolis, IN, and Kimberly McCaslin, Owensboro, KY. He is also survived by two brothers, Willis Randall, Lake Placid, FL, Steve (Mary) Randall, Huntington, IN; one sister, Charlene Jones, Huntington, IN; and 9 grandchildren; Ethan, Jack, Ayliana & Henry McNeil, Lydia & Owen Mohler, and Zach, Dakota & Amiah McCaslin. Along with his parents he was preceded in death by one sister, Shirley Lindsey. Calling will be Wednesday, September 26, 2018 from 4pm -7pm at McElhaney-Hart Funeral Home, 715 N. Jefferson Street Huntington, IN. Funeral Services will be Thursday September 27, 2018 at 11am at Evangelical United Methodist Church, 1000 Flaxmill Road, Huntington, IN 46750 with Dr Rev Marti Lundy officiating. Additional calling Thursday September 27, 2018 from 10am -11am at the church. A private burial will be at Marion National Cemetery, Marion , IN. In lieu of flowers memorials can be made to Special Olympics of Indiana or Gideons International, in care of McElhaney – Hart Funeral Home.